Six years ago, before I fully have the hijab on, my hair was heavily subjected to chemicals and products. I was that girl who goes into the hair salon every three months to do something to her hair. I was never satisfied with a style. I would have it coloured, permed and straightened. All in a year. My hair was basically fried and damaged. When I wore the hijab, I see no purpose in doing all those things to my hair. So I decided to take a break and give my hair a breather. Although my hair got its natural texture and colour back, something feels amiss. I wasn't taking care of my hair the way I used to. My hair was slightly coarse, dry and lifeless for many years. So when Kaisyahs Closet asked if I would like to try Anzel Hair Marula Oil by Anzalna Nasir, I jumped at it. 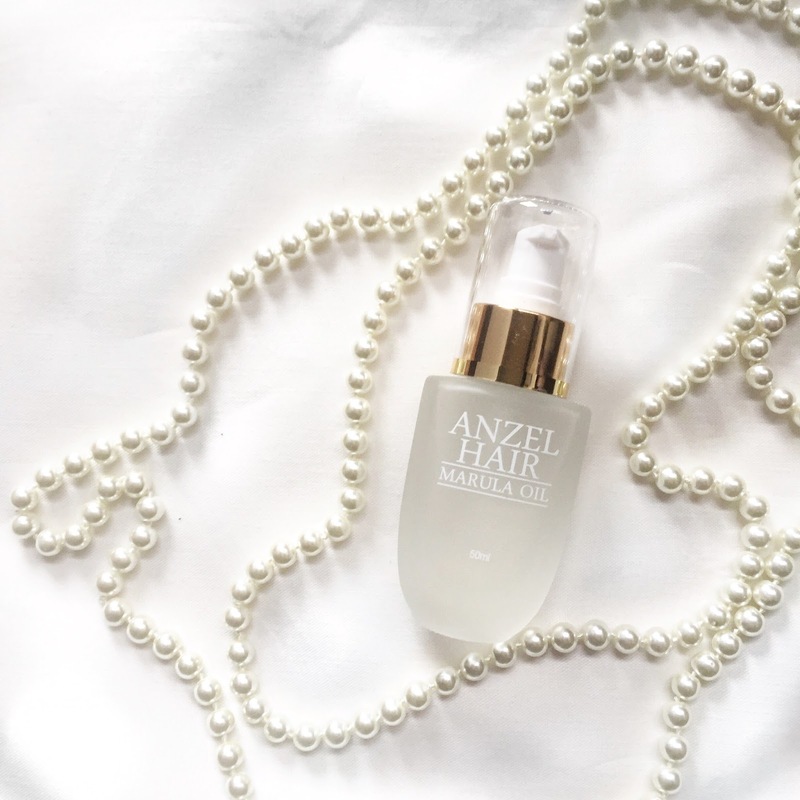 Anzel Hair Marula Oil really lived up to its hype. If you haven't heard of Anzalna Nasir, where have you been? Anzalna is the beautiful Malaysian celebrity who is the envy of many. Her enviable long tresses are what every girls dream of. I am certain that if the Kardashian-Jenner clan knows of Anzalna, they would make her one of their sisters. When Anzalna came out with Anzel Hair Marula Oil, the internet crashed. I know at least ten girls in my instagram feed who was one of the first to use it. Every review was positive. I am always very skeptical of products by or endorsed by celebrities because I do know how these things works. However I was pleasantly surprised. Most oils for hair tends to be heavy, making my hair feels oily and icky. Believe me when I say Anzel Hair feels super light. It absorbs quickly into the hair leaving no oily residue. I haven't used it long enough to see if it helps to boost the growth of hair but it smells amazing. My hair looks shiny without looking greasy. It made my dry hair looks like it has always been healthy. Although the instructions on the box says to apply it to slightly damp hair, I usually apply it on dry hair every morning. I would use two to three pumps for my thick and medium length hair. I would pump it on my fingers and warm it first before applying it to the ends of my hair. Now, even on days when I don't apply it, my hair feels smoother and healthier. I can actually run through my hair smoothly. 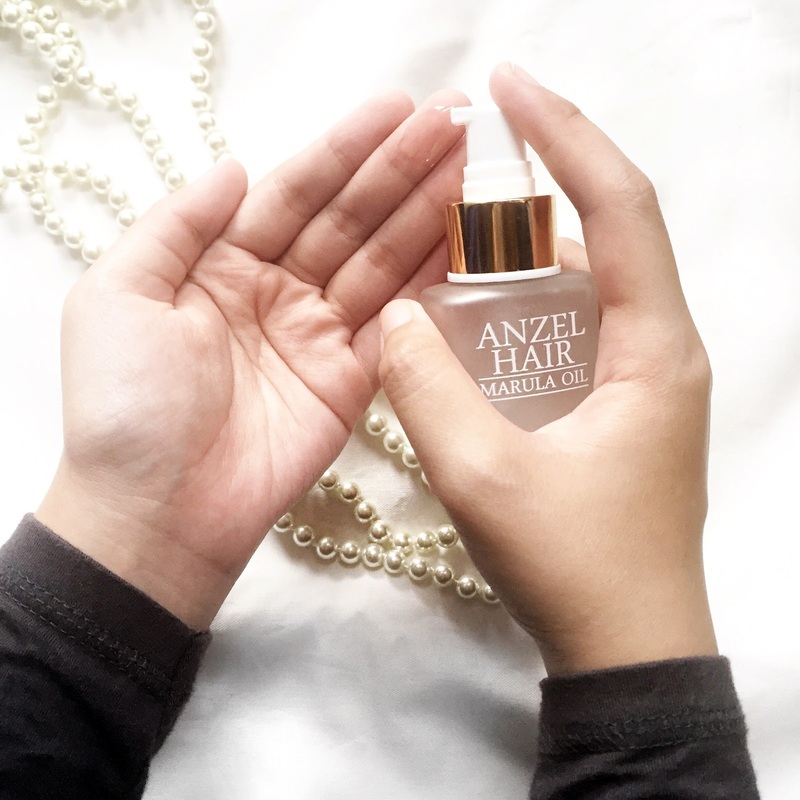 Anzel Hair Marula Oil by Anzalna Nasir is now added into my everyday morning routine. It has successfully landed on my shelf of favourite products. It also helps that the bottle is very chic and classy. I would show you how gorgeous my tresses are now but I guess the only one who would benefit from it would be my future husband. Lucky him!